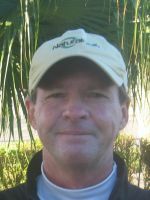 PLANTATION, Fla. – Ken Martin of Wellington fired a three under par 68 on Monday to score his second victory on the Fuzion-Minor League Golf Tour. Playing the East course at Jacaranda Golf Club, Martin made four birdies (Nos. 4, 7, 9 and 14) and bogeyed the par-3 13th hole. He earned $950 from the $7,125 purse. 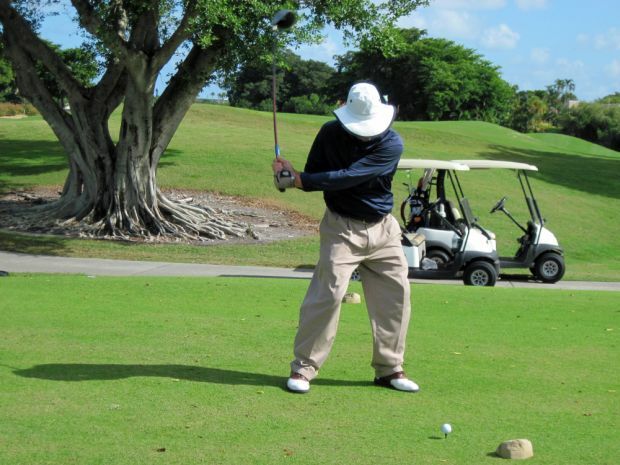 A teaching professional at Village GC in Royal Palm Beach, Martin, 51, won the Southeast Chapter seniors championship and back in October finished tied for third at the 2010 Senior PGA Professional National Championship in Palm Springs, California. That finish eaned him a pass directly into the final stage of Champions Tour qualifiying held last week at TPC at Eagle Trace in Coral Springs, a trip back to the Senior PGA Professional National Championship next year, and an invitation to the 2011 Senior PGA Championship, May 25-29, at Valhalla Golf Club in Louisville, Ky.
Matt Springer of Gary, Indiana picked up $650 for his solo second place finish at 2-under par 69 followed by amateurs Matt Hungerman and Matthieu Pavon, and Alexis Thompson at 70. Thompson and all women players get to play from 94% of the distance of the male players. The MLGT’s 126th tournament this year drew 52 entries. After a break for Thanksgiving, the MLGT returns next week, Monday at Fountains CC, which includes a separate division for Seniors,Tuesday at Abacoa GC, and Thursday at President CC in West Palm Beach.